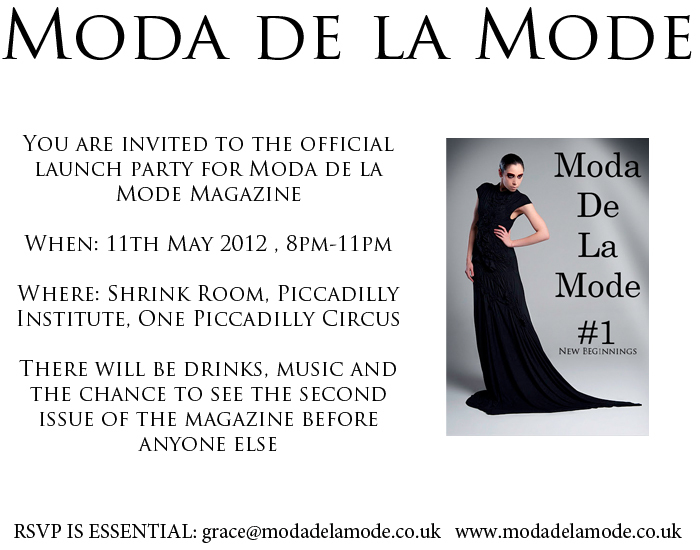 Moda de la Mode Magazine issue two is due to be released on the 11th May and I want to share this momentous occasion with you by hosting a gathering at London's Piccadilly Institute. There will be a great bar where you can buy the most delicious drinks, music and the chance to see and buy issue 2 before anyone else. There is a strict guest list for the event so if you want to attend then please email me: grace@modadelamode.co.uk so that I can add your name to the list. I hope you can all make it so dust off your dancing shoes and dig out your favourite party dress...it is time to celebrate! !